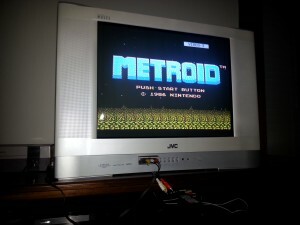 There is just something about Metroid that just makes it feel, awesome. And this feeling comes before I’ve even had the chance to play it. And unfortunately, my critical thinking and writing skills are failing me, as is my ability to clearly tease out the reasons for why Metroid is so good. I’m not sure what it is that drew me to Metroid as something I wanted to get into. When playing the game for the first time, the initial impression that one could get is that its a fairly rudimentary platformer, especially if the “graphics” are anything to go by. Its not as vibrant as Mega Man or Mario…or possibly even Bionic Commando (there you go, something slightly positive about Bionic Commando). But there is something in that simplicity that makes it feel…”right”. Which is a pain in the arse because if I could capture exactly what “it” is that drew me to Metroid…I’d probably have something solid to build my own games around. Maybe its the backing story to Metroid? Of the NES games I played so far, only Metroid stood out as having any level of depth/substance to it (ie Samus needing to defeat the pirates and Mother Brain)….? The overall design world is simple and clever too. Metroid is fundamentally a set of standard platforming levels that are inter-connected via several vertical “shafts” or elevators. This encourages the sense that you are exploring a single big, yet self contained, world. 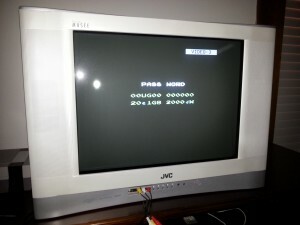 This was more so than what was experienced in games like Mega Man and Mario which felt like, at most times like you were simply trying to get through a whole bunch of independent disconnected levels. Maybe the only give away, which didn’t detract from then above mentioned experience, was the very short horizontal “corridors” that sometimes connected the doors on the vertical edges of the shafts to the platforming levels. The world design was such that finding a new area or elevator to another level was truly an exciting thing…and usually greeted by a victorious change in music. Once again, this was something that was missing from the other games and differentiated Metroid. Negotiating each platforming level was largely a case of sussing out the movement of the enemy. Though this may have changed in later levels, Metroid didn’t seem to introduce environmental challenges like Mega Man did (eg the invisible platforms that required the “leap of faith” mechanic). Each enemy has their own unique and largely predictable motion. This enabled certain dynamic behaviour like “farming” to be used by the players to build up, for example, energy reserves and ammo counts. 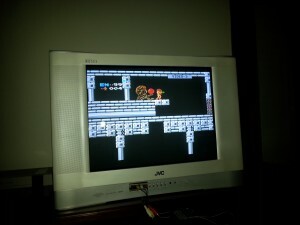 However, a simple yet effective part of the game design was how the enemies, who are individually easy to beat, were combined to present the player with quite difficult challenges in some of the platforming levels. Especially when three of four enemies of different types where simultaneously thrown at the gamer. Unfortunately, time conspired against me spending too much more time with Metroid. Its definitely a game I’m going to go back to try and defeat. But after spending a few good hours with Metroid, I’m still struggling to distil out what made it so enjoyable…and I feel somewhat ashamed that this write-up probably doesn’t do the game justice. Whatever…if you get the chance to play it…DO. And if you are better able to enunciate the core design tips that make it so awesome…then DO that too. You should take a look at Wonderboy III The Dragon’s Trap on the Sega Master System if you get a chance. It has an interesting structure that encourages exploration and gates progress through character transformations that bring new abilities (climbing walls, swimming under water, flying etc). It’s probably the best game made for the SMS too. Thanks for the comment John – my first legitimate unsolicited comment!!! And yep – I’m about two games away from WBIII The Dragon Trap. First up is Sonic followed by Alex Kidd. CHEERS! Yeah I grew up with a SMS and loved its version of Sonic, and Alex Kidd in Miracle World which was built into (most) SMS2 consoles.